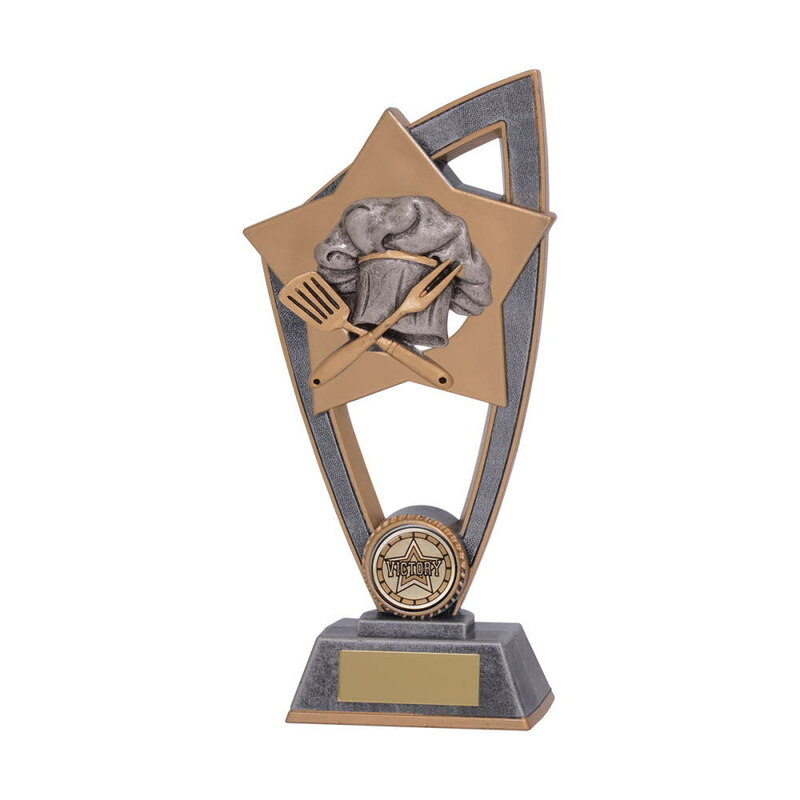 Star Blast Cooking Chef Awards. Available in 3 sizes, 180mm, 200mm and 230mm high. Silver award with a gold star and gold and silver chefs hat and utensils.